The Israeli government missed the point of Palestinian anger directed at metal detectors placed at entrances to the Temple Mount and, having misdiagnosed the situation, made a decision that failed to resolve the crisis and has only made it worse. At least, that’s what many of the Muslim protesters in the streets of Jerusalem’s Old City have been saying since the metal detectors were removed early Tuesday morning. Israel thought it was making a concession by removing the detectors, which were installed after three Arab Israelis carried out a shooting attack at the Temple Mount, killing two policemen with weapons they had smuggled into Al-Aqsa Mosque. Instead, the security cabinet decided advanced monitoring equipment, at the cost of NIS 100 million (around $27 million), would eventually take their place. This would make physical access for Muslim worshipers to the mosque easier and quicker, and make the area outside the holy site look less like a military checkpoint. However, on Tuesday and Wednesday, many protesters in the Old City repeated the same line: “The smart cameras are worse.” Worse, they explained, because such cameras represent a more sophisticated way of controlling the entrances to the Temple Mount. 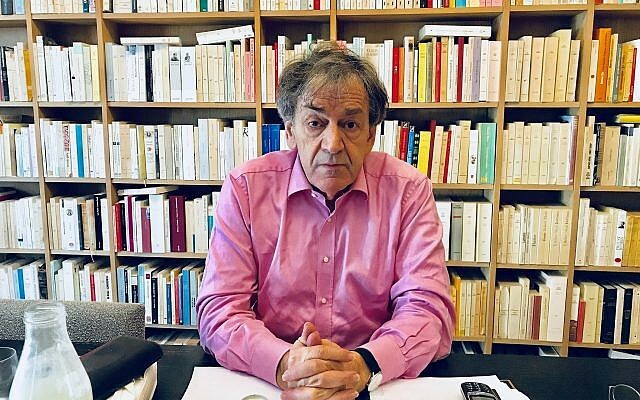 And therein lies the real issue: The initial quarrel over metal detectors has evolved into a battle over sovereignty at what is possibly the world’s most sensitive holy site. 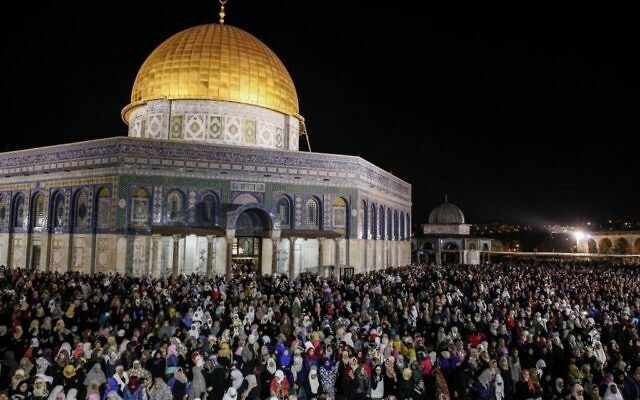 The Waqf tried to buy time by saying it would wait to make a decision until a full assessment of Israeli measures taken inside and at the entrances to the Temple Mount had been completed. But worshipers in the streets of the Old City that morning had already made up their minds. Some thought the smart cameras had already been set up. Many said they believed these cameras would show their naked bodies, or perhaps give them cancer. Whatever these cameras could or couldn’t do, many agreed, they couldn’t be tolerated. 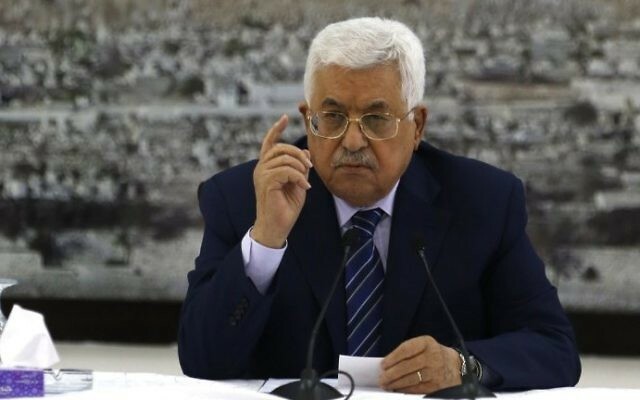 In Ramallah, Palestinian Authority President Mahmoud Abbas waited until 7 p.m. to announce what had already been established on the streets in Jerusalem: No cameras, and no increased police presence at the site. 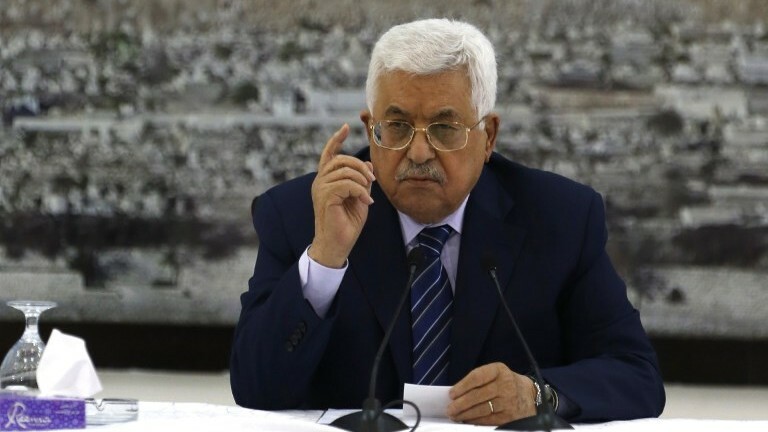 Either things go back to the way they were at the Temple Mount before July 14 or, Abbas said, he would continue to freeze contacts with Israel, including security coordination. The Waqf, many have said this week, is no longer pulling the strings. It’s now the street controlling the Waqf. Because this is a clash over sacred space, the protests are more religious than nationalist in nature. Many Palestinians have become tired of politics, but their religion and its symbols remain a force of mass mobilization. 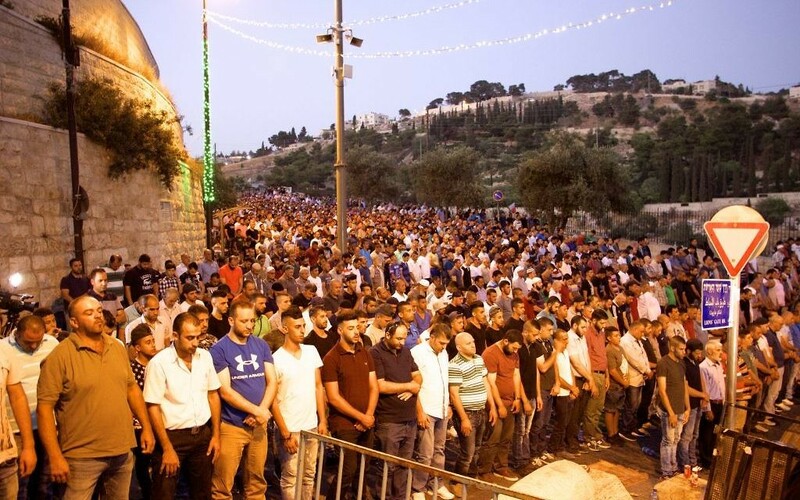 Underlining this, Tuesday night saw the largest crowd of worshipers since the start of the crisis gather in the streets of the Old City and outside the Lions Gate for evening and nighttime prayers. When the evening prayers finished around 8 p.m., the mass of people waited around another hour and a half for the next prayer service to begin. Self-made preachers took up microphones, railing against “Jewish” measures at Al-Aqsa, and led chants with clear religious overtones. I asked one worshiper about the significance of this chant. “It’s a promise for the future,” he said. Another man explained that the current Temple Mount crisis was the fulfillment of a Quranic prophecy about a struggle between Jews and Muslims at Al-Aqsa. That the current protests are literally just prayer services — at least before some of them devolve into clashes — adds to the religious fervor. 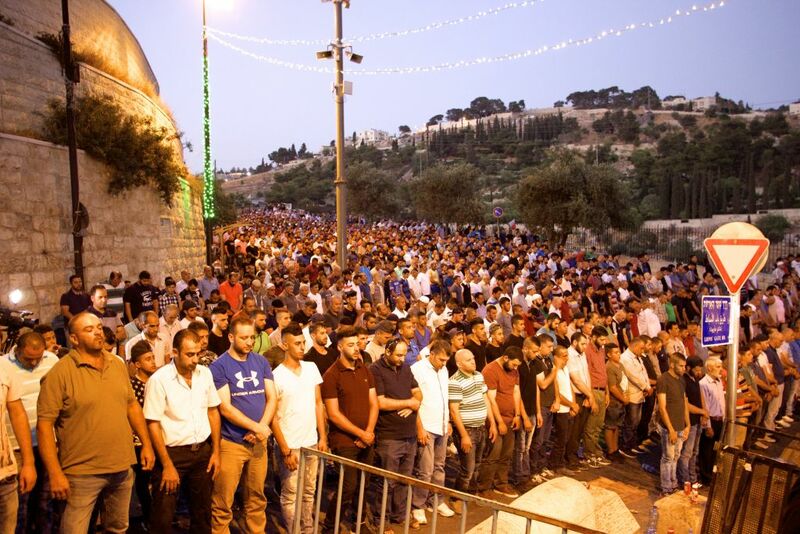 For one whole minute during the Tuesday evening service, the crowd chanted “Oh God, Oh God” repeatedly with the fear of losing of Al-Aqsa likely at the forefront of its thoughts — however improbable this seems to Israelis, and no matter how many times Israel promises it won’t change the status quo at the site. While five Palestinians died in clashes with Israeli security forces around Jerusalem on Friday and Saturday, and the Palestinian terrorist who killed three members of the Salomon family in Halamish on Friday night cited a determination to assert Muslim sovereignty at Al-Aqsa, the prayer-protests inside the Old City, just outside the Temple Mount, have been relatively peaceful. For the most part, the worshipers come, pray and, eventually, go home. But minor clashes have broken out almost every night; small incidents, such as a single water bottle being thrown into the air, can lead to police taking action, including with the use of stun grenades, sending thousands running in every direction. 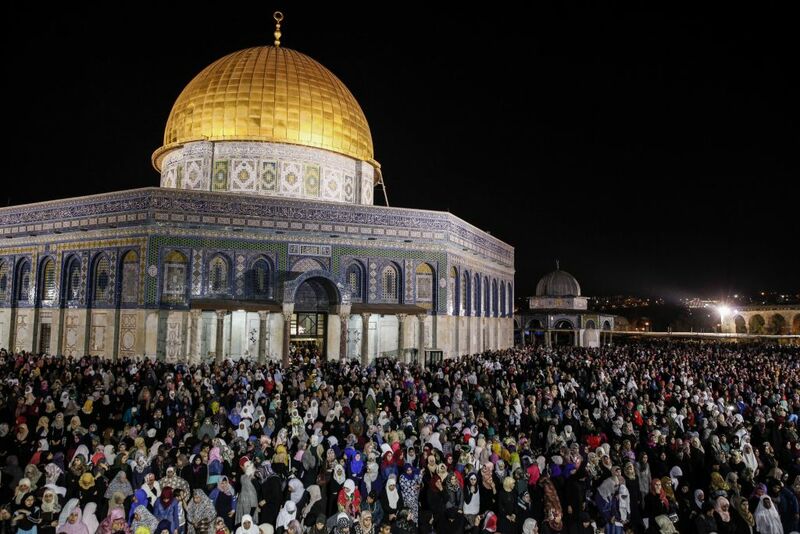 On Tuesday night, some in the crowd said this could all end if Israel fully restored conditions at the Temple Mount entrances to the July 14 status quo ante. But others believed it was too late for that now.